Any discussion around the eco-friendly values of IKEA is guaranteed to provoke hot debate. Even if they are able to make their manufacturing more sustainable, can they ever shake off the transient throwaway image we associate with their products? 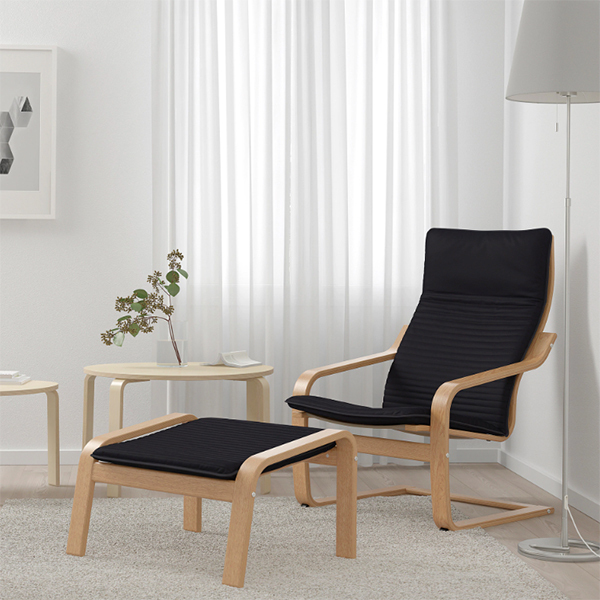 IKEA calls to mind, mass-produced ‘fast’ furniture – cheap, convenient, stylish, but usually destined for rented homes and difficult to sell on once finished with – it’s so cheap, you may as well order it new. Even when a retail giant says they are beginning to implement sustainable practices, they are often met with skepticism and accusations of greenwashing. No doubt, IKEA will be under pressure to keep it’s sustainability promises; in addition to buying their own forests and wind farms, IKEA has now invested in a Dutch plastics recycling plant and have pledged to make all their plastic products from recyclable and/or recycled materials by August 2020. In line with their goal of becoming more circular with their production, The Telegraph reported in January this year that IKEA are also considering a new scheme for renting out furniture, whereby customers can sell their products back for recycling. Growing awareness around plastic pollution frequently reminds us that recycling is not the solution. Instead, reducing the amount of plastic we produce and consume needs to be a priority. However, recycling plastics into homeware is at least one way of keeping the plastic we’ve already made, out of landfill, reducing the demand for new raw materials. 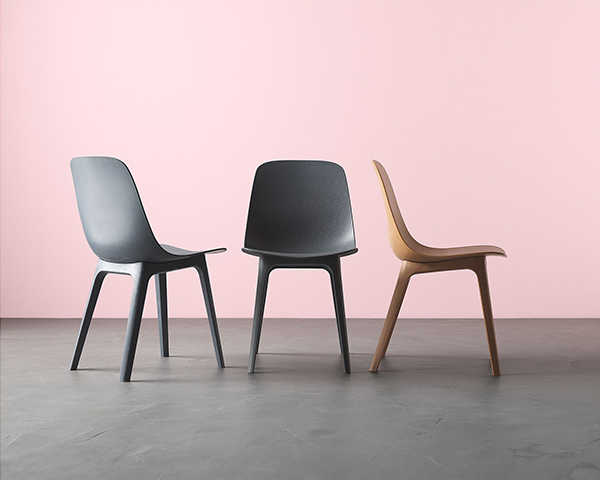 Odger chair is 30% wood and at least 55% of its remaining materials is recycled plastic. The chair comes in white, blue and brown and the finish contains wood flakes that are visible to the eye. 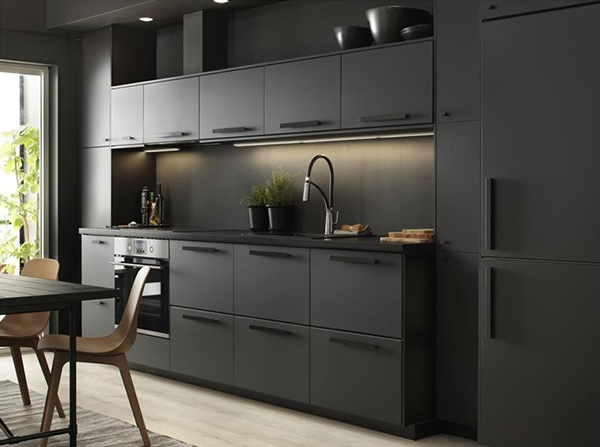 Kungsbacka kitchen cabinet doors are made from recycled wood and covered with a plastic foil made from recycled PET bottles. 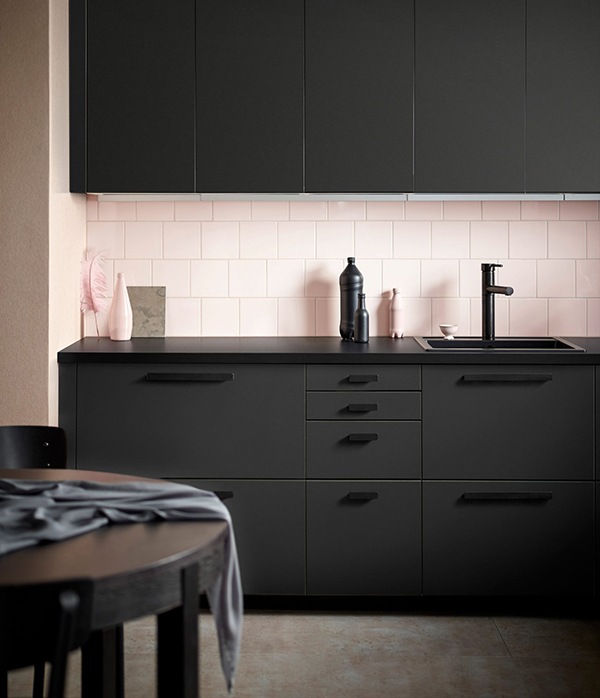 Launched in February last year, they currently come in matte-look anthracite but IKEA have plans to introduce new colours, such as white, in the future. 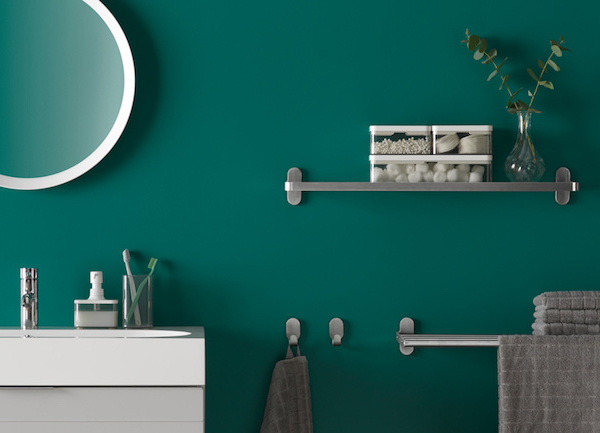 The Brogrund bathroom range includes a soap dispenser, clear storage boxes and a toothbrush holder made of recycled PET plastic. 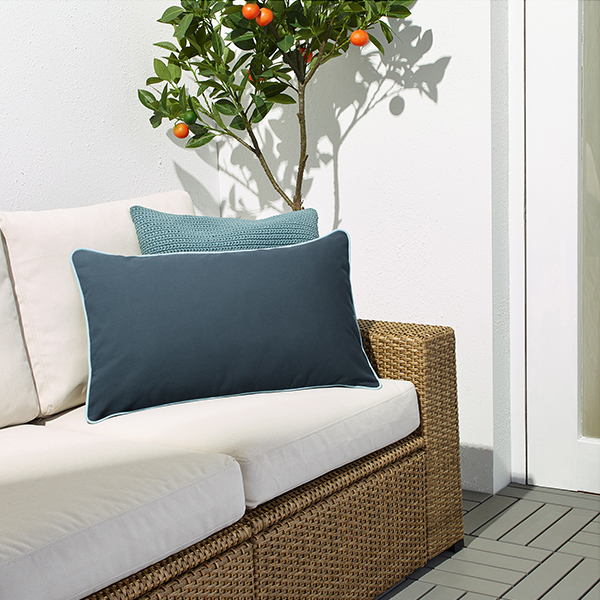 The Gullingen cushion cover is water repellent and can be used indoors or outdoors. Made from recycled PET bottles, it comes in beige, dark blue, dark olive green and dark turquoise. 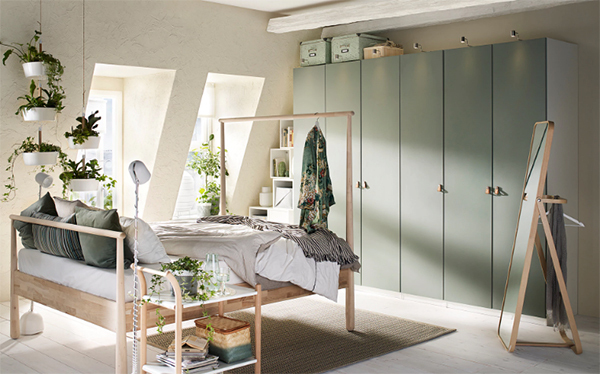 Reinsvoll is a grey-green coloured door, specially designed for IKEA’s Pax customisable wardrobes. The door is made from recycled wood and covered with a plastic foil made from recycled PET bottles. 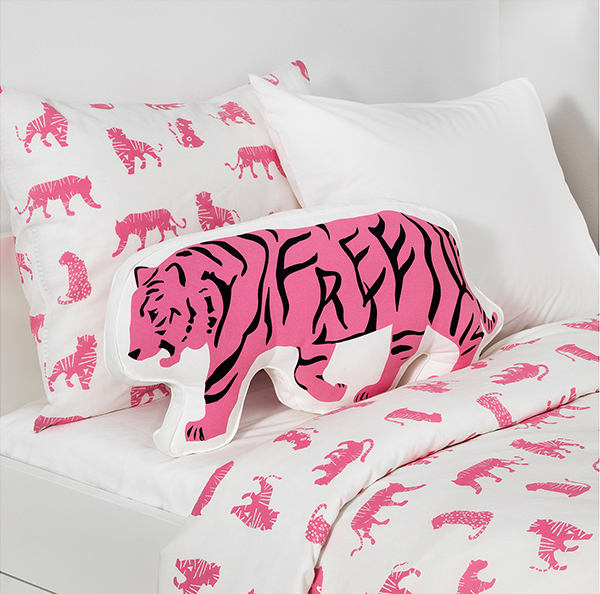 IKEA are using polyester filling made with recycled PET bottles for many of their cushions. This includes the Urskog cushion which is also made from sustainably grown cotton. 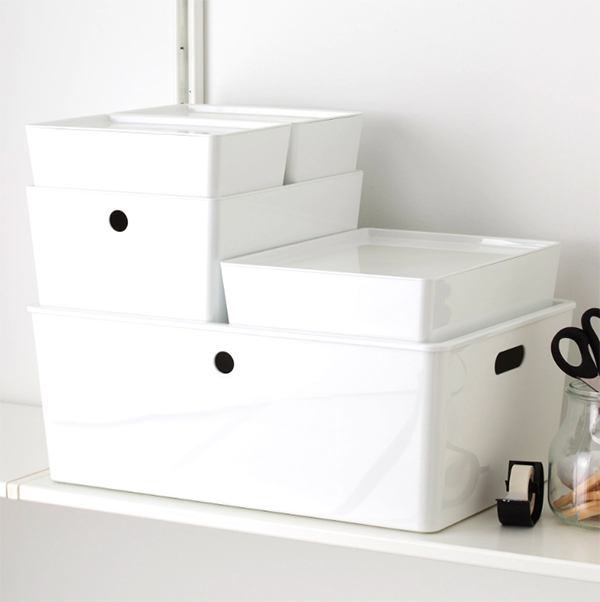 Kuggis is a range of boxes with lids made from recycled PET plastic. They come in different sizes and are perfect for stacking. 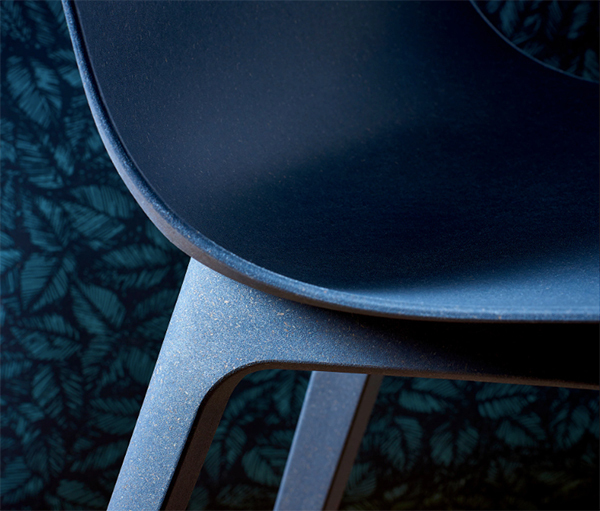 Recycled PET polyester fabric has been used on the Poäng armchair and stool, both of which come in a range of colours. 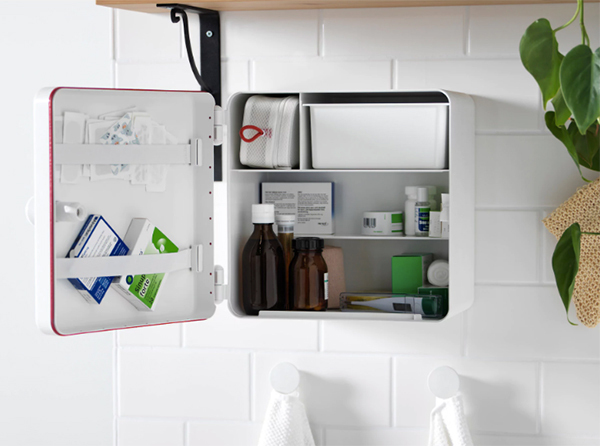 Trygghet is a square shaped wall hung medicine cabinet made of recycled PET, which can also be used as a storage box inside a drawer. 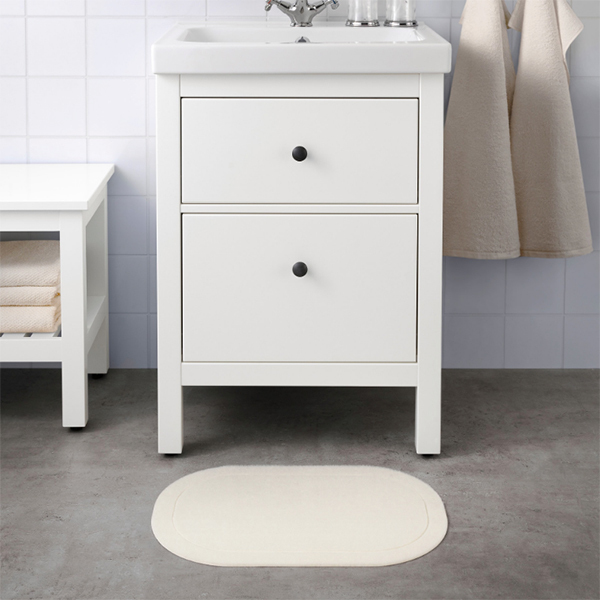 Last but not least, the Karken bath mat is made of recycled PET plastic and can be used on all types of flooring, even those with underfloor heating. Check out more recycled decor and furniture, available online via the Upcyclist shop.